This United State Postal Delivery Truck 4.5 inch's ling is by Great Faith Inc. 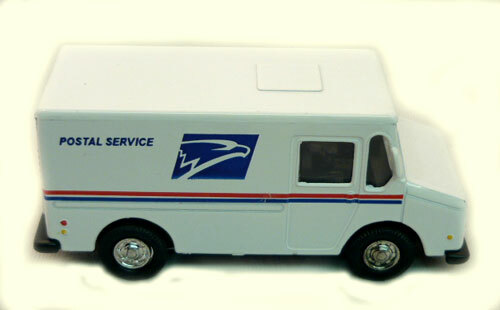 It look just like the Postal Service Mail Truck. The back cargo door opens so you can put your mail in it. This cut die cast truck has pull back action. Shipping weight is .3 lbs.